A software system to capture patient data on tablets at the bedside, a wearable hand hygiene monitor, and a portable self-treatment compression device for joints and muscles are among the winners of this year’s Medilink UK Awards. 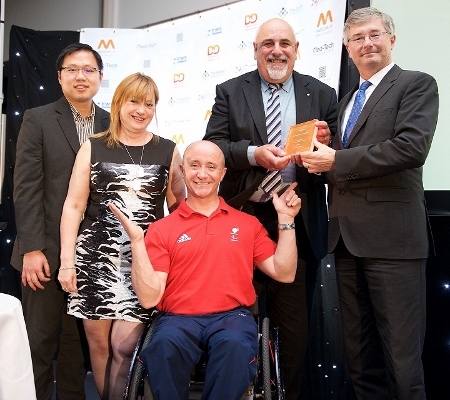 Recognising the best products from within the UK life sciences and healthcare technology sector, the awards were held in Coventry and were compared by former winter Paralympian and World Cup skier, Sean Rose. The nominees were drawn from winners of regional awards across the UK, selected by panels from Medilink UK member organisations. Winners from the five award categories were all honoured, with two runners up from each category also being highlighted. The winner of the Nabarro Start-Up Award was Sheffield-based, Swellaway, for its portable self-treatment device which applies cold, heat and compression to human or animals’ joints and muscles. They have already secured a £1.7m contract with a leading equine distributor and their turnover is set to increase rapidly as they expand into the human treatment market. The two runners-up for this category were Birmingham-based, Aston Eyetech; and Aylesbury-based The Diabetic Boot Company. London-based The Learning Clinic won this year's News-Medical.net Innovation Award for its revolutionary software system that allows clinicians to capture patient data on iPods and iPads in real time at the bedside.They have had remarkable results across the 45 NHS and private hospitals where their software is being used. Nottingham-based Snowden Healthcare and Leeds-based Brandon Medical were the two runners-up in this category. The 24/7 Exhibition Services Export Achievement Award was awarded to Birmingham-based NutraHealth Group. Manufacturers and distributors of vitamins, minerals and food supplements, the company experienced a 53% increase in the amount it exported in the last year. The runners-up for this category were North Yorkshire-based Principle Healthcare International, and Swansea-based DTR Medical. 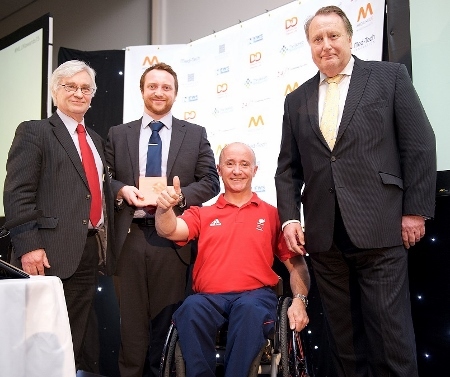 The Devices for Dignity (D4D) Partnership with the NHS Award went to Lancaster-based Veraz. Its flagship product, the VeraMedico System, has led to a 200% improvement in hand hygiene in the NHS, which is one of the main ways to reduce the spread of infection. Staff using the system have a LED light on their badges which shows their current hygiene status. Stirling-based Dolby Vivisol and Denbighshire-based MicroVisk were named runners-up. Bootle-based Mast Group Ltd won this year's coveted BioHub Birmingham Outstanding Achievement Award. The company is a market leader in manufacturing and supplying diagnostic products which are mostly used for the detection and diagnosis of infectious diseases. Its Mast Uri system has halved the time it takes to tell if a patient has a urinary tract infection, and can also tell the clinician the name of bacteria causing the infection and which antibiotics will be effective against it. The runners-up were Oxfordshire-based Novarix and North Yorkshire-based GBUK. Gary Stapleton, Medilink UK's chairman and business director of 3M Health Care Business Group, West Europe, said: “As chairman of Medilink UK, I have seen tremendous strides made over the last year to further develop the organisation to better serve regional SMEs. Commenting on its award, Martin Kirkup, The Learning Clinic’s chief marketing officer, said: “We are delighted that VitalPAC’s benefits for patient care and improved efficiency have been recognised at this important forum.